Wedding in Southport were the film Safe Haven was shot. “Brazilian Bossa Nova and Samba" It's A Plus In Our Repertory! (But) We play World Music then We can grab the attention of people with different musical tastes! The Latin background and vast experience of the band members offer an authentic and unique sound. Whether you're 25 or 65, you'll instantly recognize – and fall in love with – Linda & Luiz music. We LOVED, LOVED, LOVED Brazil Flavor Music! 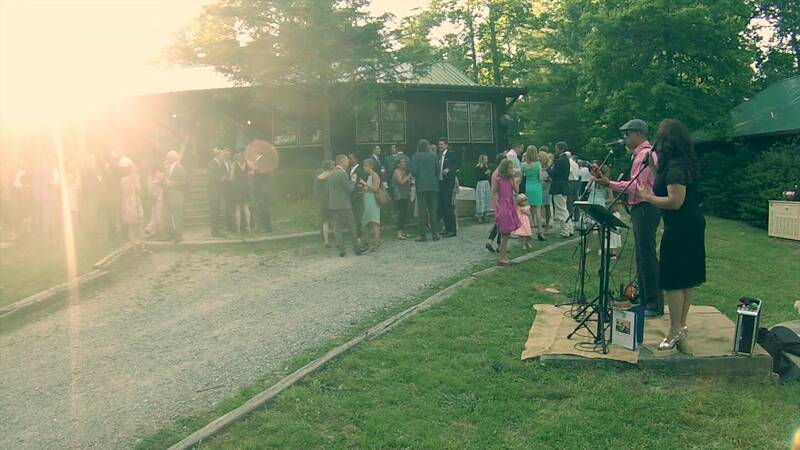 We hired Brazil Flavor Music to provide music both for our wedding ceremony and for our "after-party" cookout that took place after our reception, and we couldn't be happier that we did! Luiz and Linda were absolutely fantastic! We loved their sound from the moment we listened to their demo tracks on their website, and in person they are even more spectacular. Not only are they incredibly talented, but it is abundantly obvious that Linda and Luiz love what they do. Their passion radiates from them, both when they perform and when they interact with their clients. From the first phone call and throughout all of the planning, they were very responsive and genuinely wanted to make sure that we received exactly what we wanted. We wanted to incorporate a special song in Spanish into our ceremony, and Luiz and Linda offered to learn it with no hesitation at all. And they knocked it out of the park! Our guests are still raving about how awesome the music was, and we personally can't wait for another opportunity to use Brazil Flavor Music again! We're thinking birthday parties, Christmas parties, something, anything! That's how much we enjoyed them. They were wonderful to work with in every way. Totally accommodating, genuine, and did we mention how awesome their sound is!? We are so glad that we found them and had them be a part of our special day, as they made our day all the more unique and memorable. If you are thinking about booking them, DO IT!! You will be so happy that you did! Thanks so much, Luiz and Linda! You two are truly the best. Thanks Juliet for your words... We really love what we do, and even more when we feel appreciated by our clients!! We had so much fun at your wedding and we are so blessed to meet special people like you, Franklin, all your families and friends. Thanks! Brazil Flavor Music was exactly what we needed for our event. The duo catered their music and brought the perfect vibe to our reception. In regards to booking, they stayed communicating with me, keeping me updated on any changes. They are very friendly, kind, and humble, and you can tell they love what they do. Musically, they are incredibly talented. Several attendees came to us during our event to compliment the music selection for the afternoon. Lastly, our event was 3.5 hours away from them, yet they willingly drove, arrived early/on time, set up, and were ready to go as soon as the doors opened. We will definitely be hiring them again in the future and we recommend them for sure. Thank you again, Brazil Flavor Music! It was a honor to sing for you all. We had a great time and also had the opportunity to meet wonderful people who filled our heart with love. 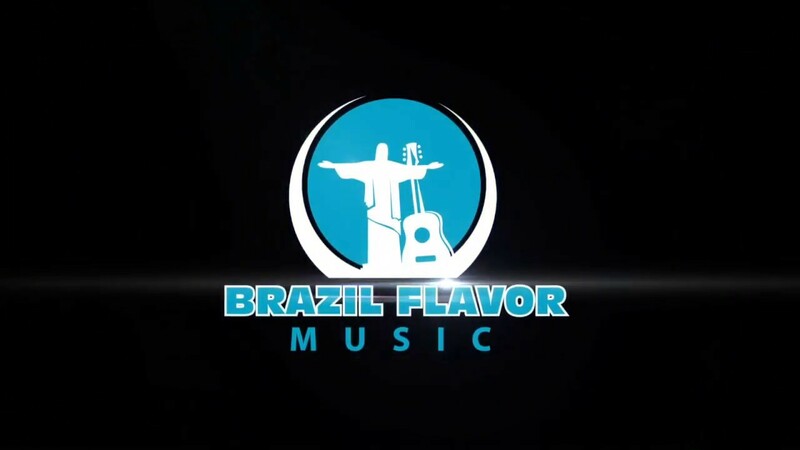 Thanks for choosing Brazil Flavor Music and we look forward to perform for you all again in the future. Brazil Flavor Music, absolutely outstanding! Excelente musicians! They played at my daughter's wedding and were the highlight of the cocktail hour. Great music selections, perfect harmony, and the couple has a contagious joy about them! I totally would hire them again for any event! Thank you Sandra for sharing your thoughts about us with our audience, you are very kind. Brazil Flavor played beautifully, just as we had arranged prior. They were a pleasure ot have at our wedding. It was a pleasure for us to perfom in your wedding Izabella. Brazil Flavor Music was the perfect fit!!! Brazil Flavor Music performed at Arts International a Francis Marion University and City of Florence collaboration. Brazil Flavor Music performed in the PAC Black Box which is where we have classical and chamber music. They were the perfect fit for an upscale this venue. Thank you Luiz and Linda you were GREAT!! Linda and Luiz Lins had the utmost professionalism and seamless communication as far as booking goes. The evening of the fundraiser they came prepared, on time and ready to put on a great show for our 400 person fundraiser. 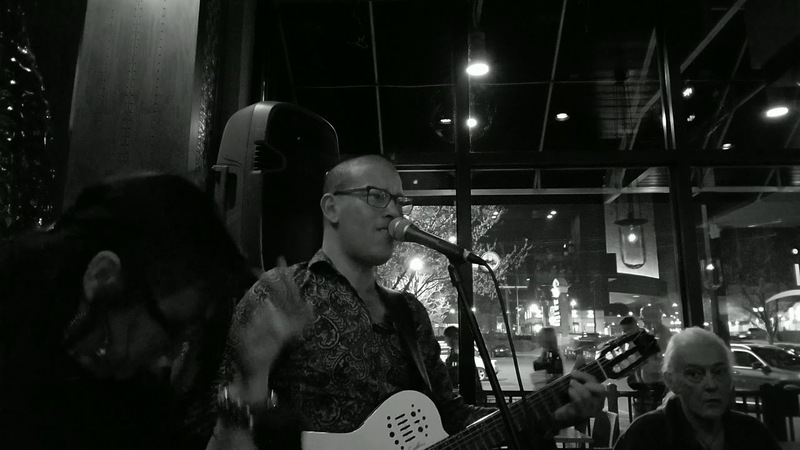 From the unique and fabulous song list to their high energy crowd engagement - we could not ask for a better duo to tie our theme into our fundraiser. Not to mention they are two of the most friendly people we had ever worked with! We could not have asked for a better show, or group to work with. We had so much fun singing for all of you! What a beautiful party! We were honored to be chosen to perform for you all and for this beautiful cause! Thanks Ronald MacDonald for your service to the community! I contracted with Brazil Flavor Music for my wife's birthday party. It was short notice but despite that the duo was very accommodating, professional and friendly. They even practiced and played two of our favorite songs. The music was awesome and working with Luiz was a pleasure. I would definitely recommend them to anyone and I would book them again if the opportunity arises. Great performance delivered promptly and professionally. I booked Brazilian Flavor for a Campus event at Duke University. They were more than willing to drive to Durham, arrived on time despite a storm and had all their equipment setup and ready to roll in less than an hour. The crowd loved them and they had a great repertoire of popular and classic Brazilian songs that were very well played. Hi! I am so sorry to have missed your performance. I was out sick yesterday and today! I heard great feedback from staff and residents, and I thank you so much for bringing your gift of music to Wellmore of Tega Cay. Also, thanks so much for working with us on the time mix up. I give 5 stars!! 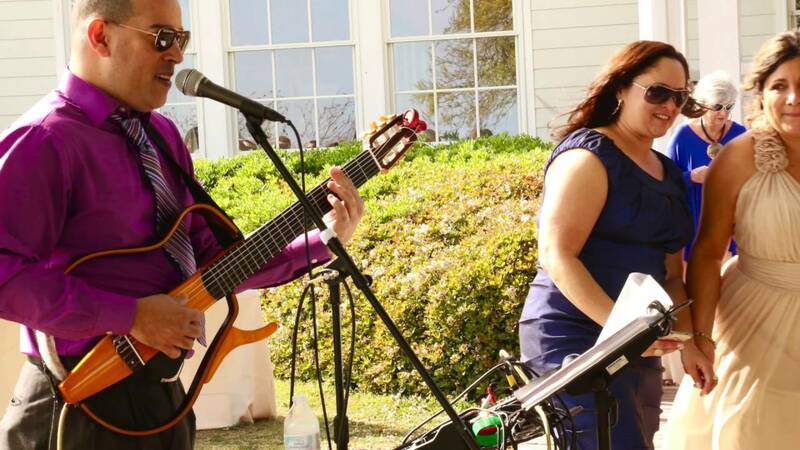 Luiz and Linda from Brazil Flavor Music are great musicians and fun entertainers! They have a warm way to get everybody involved and were our best choice to create the best party atmosphere and motivate our friends to dance or simply sit back and enjoy their wonderful bossa nova, boleros, and easy to sing along tunes. We have hired Brazil Flavor Music before for our Multicultural Festival and this was our second time. They are always professional, arrive on time and are wonderful entertainment for the crowd. Whether it is for a wedding, family event, or school function, you will not regret hiring them. I always love hearing them sing and everyone is so happy to have them there. I can't rave about them enough! Both Luiz and Linda were very professional musicians and played beautifully. We have received great feedback from our guests who really loved the music and had a fun time! Thank you Luiz and Linda for a such a wonderful night! These two were fabulous entertainment for a corporate cocktail party. Very professional, arrived on time, set up quickly. Great vocals and fabulous musicians. I will book them again. Brazil Flavor Music was Great! Thank you to Brazil Flavor Music for providing music for our 2014 International Festival at Five Oaks Academy. We thoroughly enjoyed them they did a wonderful job! Myself & my husband who heralds from Brasil hosted a Brazilian backyard BBQ in honor of his birthday and Brazil Flavor put on the perfect accoutrement for the afternoon. everyone equally came alive for their Samba & Bossa Nova. Good times... Thank you Linda & Luiz! You're missing out if you haven't heard Brazil Flavor Music! I hired Brazil Flavor music to play at my wedding and I was not disappointed; actually it was the best decision I could have made! On top of impeccable talent, they treated me like family and went along very smoothly with my "wedding day troubles". Since my wedding was outside we had to rent a generator, and of course, something had to go wrong and the generator did not work. They went above and beyond to help me and my family and somehow made the generator work. If it hadn't been for them, we wouldn't have had electricity, and my wedding would not have been filled with wonderful music. Linda has the voice of an angel and Luiz's skills are unmatchable. I was so blessed to have had the honor to have them at my wedding! I knew this band in a private party .Their voice are Awesome and we had plenty of fun singing with them .If I have a party...I will call them !!!! I recently hosted a Multicultural Festival on behalf of a community college in Monroe, NC. Luis and Linda performed and were amazing! All of our guests provided wonderful feedback. We will definitely have them for future events. Their sound is absolutely beautiful and is a wonderful addition to any event (festival, wedding, Christmas party, etc.) We will definitely use them again soon! Honesty, Punctuality, Friendliness, Quality Service, Good References, etc. 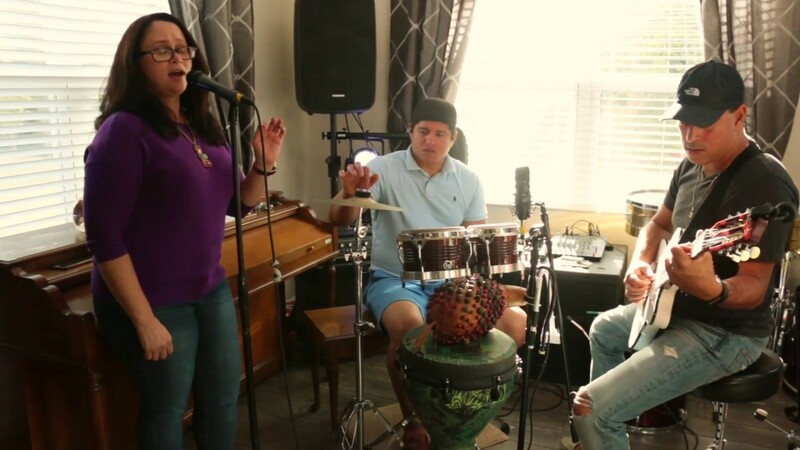 Offering the perfect combination of Brazilian style and American great hits with a touch of class, you are sure to find them sophisticated repertoire, lovely voices and charming presence to be a delightful addiction to your next event! Your ears will be in Paradise!!!!! Brazil Flavor Music performs for a Private Parties, Corporate Events, Cocktail hours, Clubs, Bars, Weddings, and School Assemblies/Workshops. Group size varies based on budget and protocol of the event as do prices. We provide our own sound system and Lights (if required). We provide the sound system for 300 people. WE USE ONE HOUR TO SETUP THE SOUND SYSTEM AND SOUND CHECK, IF YOU NEED MORE TIME BEFORE ONE HOUR WE WILL NEED A $75 EXTRA COMPESATION. PAYMENT. IN CASE THE CLIENT REQUIRE TO MOVE THE SOUND SYSTEM TO ANOTHER LOCATION A $50 FEE WILL BE CHARGED.